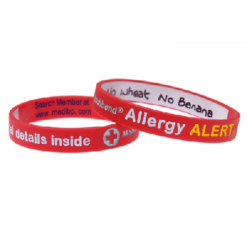 The wristband reads: ‘I Have Allergies wristband’ . 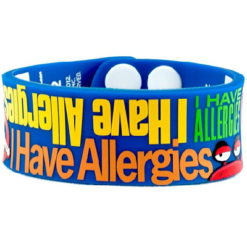 It comes with a special panel on the inside where you can write your child’s allergy and contact information on using a standard ballpoint pen. These fantastic kids allergy bands are made from tough, latex free PVC and have a bright and colourful design which kids love. 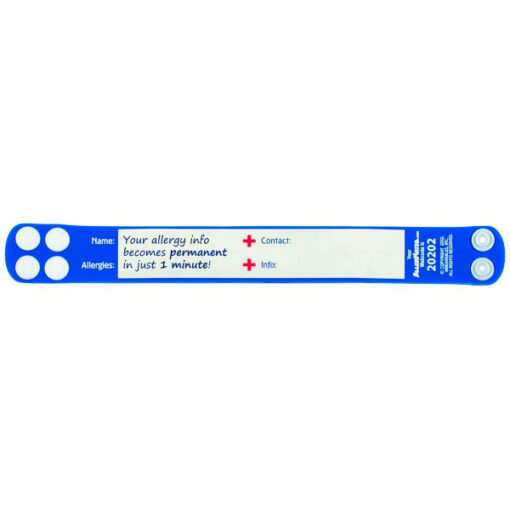 It gives you peace of mind knowing important information is on them at all times in case of emergency. The inside of these allergy wristbands have a special write on surface which you write the required information on, then boil in water for 1 minute to seal the ink. 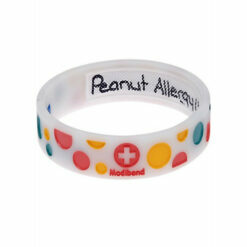 Once you have sealed the band the writing will be permanent and cannot be changed. 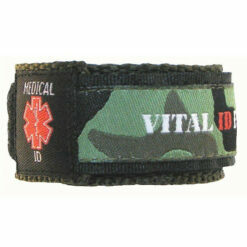 Medium fits wrists approx 6 inches to 6.75 inches. Can also be attached to buggies, back packs and more.